Just to be clear, this is not a mass transit plug. I need to be careful anytime I mention the word "train" on the New York City commuter belt. For almost 30 years, I've been training the art of Shinshin Toitsu Aikido. It's funny to hear people's reaction to this when they first learn about it. Most of the time, people jump to this Steven Seagal, martial art thing, like "oh, I won't pick a fight with you." The irony here is while self-defense might be the first thing that others think about, it's the last thing I do. The beauty of any martial art is its ability to transcend what's learned in the dojo or place of training. It is not a means for self-defense but rather a means for self-improvement. I am often asked, "I'm thinking about joining a martial art, which one should I do?". The best answer for this is the one you think you will get the most out of. In other words, you should assume that your reason for joining is not the reason that will motivate you to keep doing it. You and your training will evolve. Guaranteed. It's best to select a martial art that you feel has the most application in your daily life. Your selection criteria should be, "Will this allow me to take what I learn in the dojo and apply it to other areas of my life?" For me, one of the greatest applications for my training is in my professional life. Anyone with corporate experience knows that work life can have an endless cornucopia of challenges ranging from eccentric bosses to a diversity of team personalities to stressful performance goals to new work processes to how best to lead others ... it's a chess board of change. 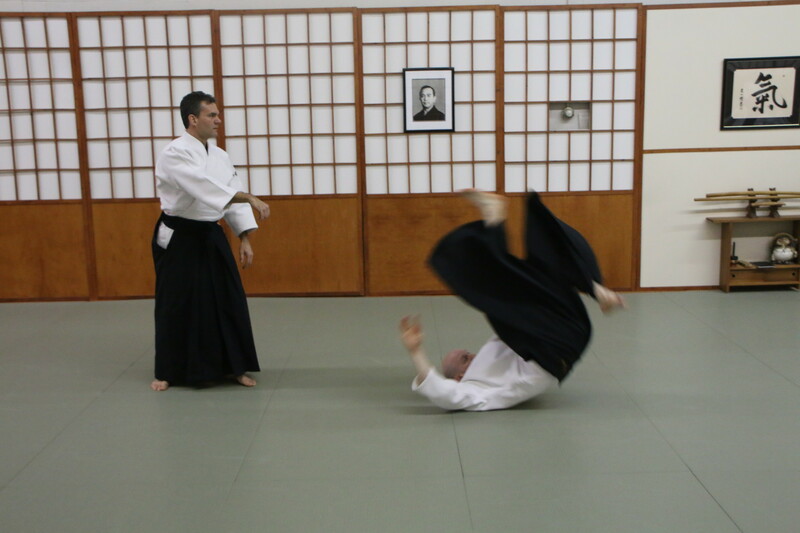 My aikido training has always been the foundation to keep work-life real and balanced. It has given me a set of go to principles that can be applied in practically any situation. And now with a number of years under my belt, I have been fortunate to cultivate some invaluable skills to help navigate what comes my way. I've captured a few of those here. If any of this training could be interesting for you, don't hesitate to reach out. I'd love to hear from you. There is always that one person whom you feel is just being difficult. And if that feeling is not managed and positively directed, it can grow into a debilitating barrier for you and the team. Understand the basics of conflict so that it can not only be quickly resolved but also avoided. In business, there is always the must win scenario. It creates stress and anxiety. Learning how to stay relaxed is not only important for your well being, but it is also the secret to performing at a higher level when you need it most. The basics of strong leadership are often overlooked. Or they can be hidden by a set of tricks and manipulations that only further cloud the clarity of a strong lead. Go back to the basics and learn and apply the basic 5 principles of how to lead others. We all know how important it is to be a strong leader. But what about a strong follower? Knowing how to take a lead is just as important as giving one. We must be relaxed, receptive and respectful to the the direction we're being led. But we must also acknowledge the bumps and give productive feedback so the lead can be even more clear. Being asked to perform in a new way shouldn't be a de-motivator. Change happens, and we have to adapt quickly and enthusiastically. Build a disposition that embraces change and effectively react to any changing environment. You're being asked to do more ... be better. Tap into a higher level of performance that naturally exists in all of us. This is not about learning new things but rather dusting off some unproductive behaviors that can cover the skills we already have.